The book features a collection of Art, Poems, and Essays submitted by the youth who have participated in The Foundation for Global Sports Development's Culture, Education, Sportsmanship and Ethics Program (CESEP). The book features a collection of art, poems, and essays submitted by the youth who have participated in The Foundation for Global Sports Development's Culture, Education, Sportsmanship and Ethics Program (CESEP). CESEP provides educational outreach and promotes drug prevention awareness to countries around the world. The new book provides a fresh perspective and gives a voice to youth's perception on ethics, sportsmanship, fair-play, and drug-free sport. 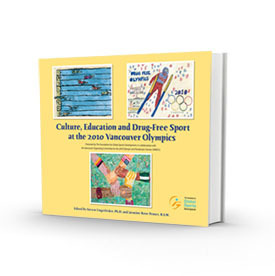 With over 600 submissions the book provides both a delightful and warming insight into these children's perspective on what it means to be a good sport and how the use of performance enhancing drugs impacts sport and ethics.